This is a sponsored post from FSAstore.com, and I have been compensated with a gift card to facilitate my review. All opinions are 100% mine. My husband just told me that we have $1,800 remaining in our flexible spending account (FSA) for 2015 and the year is already half over. If you have an FSA, you know that you may “use it or lose it” because the unused funds do not roll over at the end of the year (some plans do have a deadline extension such as a Carryover or a Grace Period that let you use remaining FSA money into the next year.) I’m thankful this has been an inexpensive year so far for co-payments and medical expenses not covered by our plan, that has not been the case for the last few years. I recently learned of a website called FSAStore.com where you can use your flexible spending dollars to buy common items that you may be needing for back to school or for home use. You can pay with any major credit card or your FSA card if you have one. We have an FSA Visa debit card so we can use that for payment; sweet! 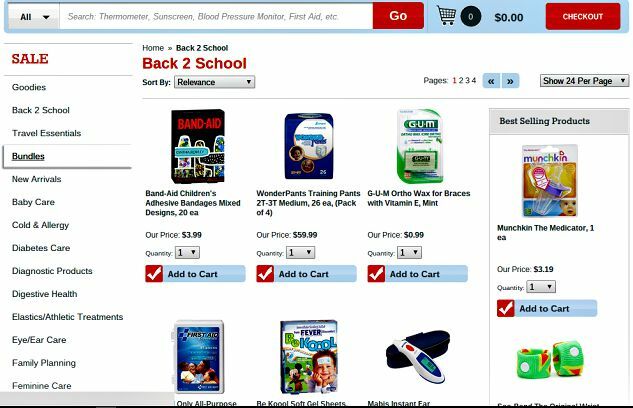 They have a tab dedicated to Back to School savings, which includes first aid items, sunscreen, sun protection lip balm, cold & flu products, allergy products and more. If your child is playing sports, you can check out the section dedicated to bandages, braces, sports tape and ice packs. If you want to use FSAstore.com for eligible OTC expenses, I learned there are thousands that can be purchased using your FSA card. Certain OTC medications now require a prescription in order to be reimbursed by an FSA. FSA Store has a long list of OTC products that are FSA eligible with and without a prescription. If you have questions about your FSA account, they have a comprehensive FAQ section where you can read about recent changes to FSA accounts, new health reforms, the difference between HSA and FSA accounts and more. You can order contact lenses, contact lens solution, eyeglasses, reading glasses, home medical equipment, shoe insoles, shoe inserts and more. 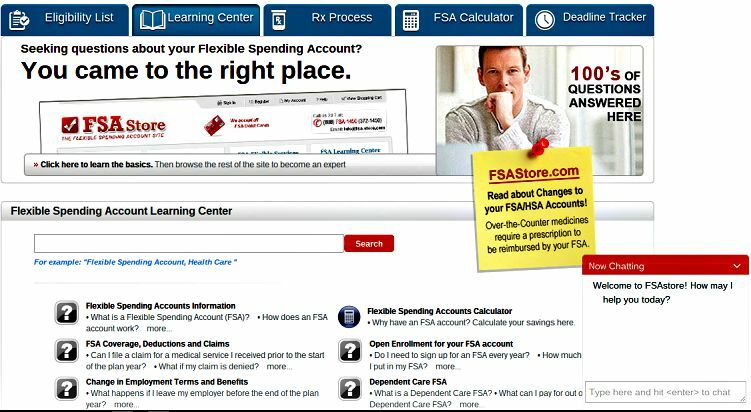 I was so happy to learn about FSAstore.com as we manage the balance in our flexible spending account for the remainder of 2015. They offered my readers a special promo code to save even more. Use promo code MWL1075 at checkout to take $10 off a $75 purchase, plus get free shipping when you spend $50+. The next time you need to purchase any of these FSA eligible items, check FSAstore.com and keep more dollars in your pocket!